Continuing a proud tradition since its inception in 2008 and its subsequent evolution of themes over the years, what is often considered as Phuket’s most renowned Sunday Brunch continues to hold strong with an exceptional landscape of gastronomy presented poolside at the Underground Café and Rivet and complimented by a choice of free-flow beverages from the finest select wines or an excellent champagne. A fantastic assortment of some of the world’s favourite cuisines featuring creative cuts straight off the hot charcoal grill to freshly sliced sashimi and maki rolls, oysters served with your choice of lemon or shallot vinegar and a plethora of other dishes including cheeses, cold-cuts and barbequed lobster. 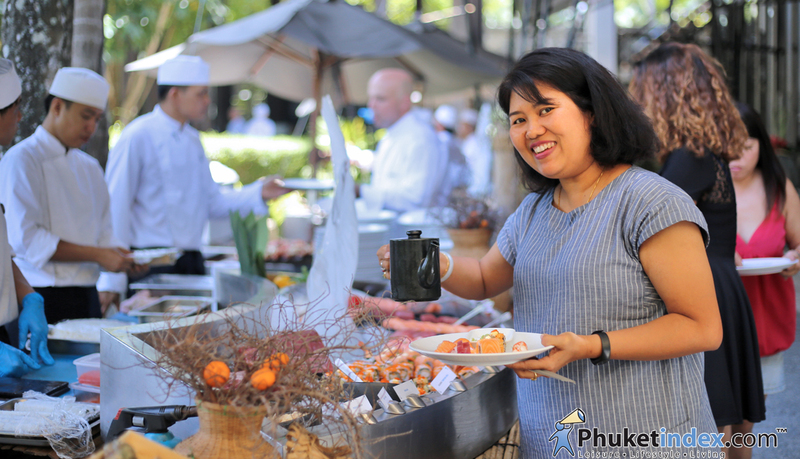 Our Sunday Brunch’s doors are open to our guests and the island’s brunch lovers, showcasing our skilled chefs’ passion for their culinary craft. Younger diners or ‘Little Miners’ have 50% off food and are welcome to play in the family pool, and also try walking on water with our own inflatable water balls. Children between ages 7 and 14 are charged 50% off the Soft Drinks Brunch Package, children below 7 are complimentary and ages 14 and up are charged full price. All children must be dining with their parents or guardians. The ‘Walk on Waterball’ activity at the family pool takes place from 14:00 until 15:00 and is subject to an additional charge.